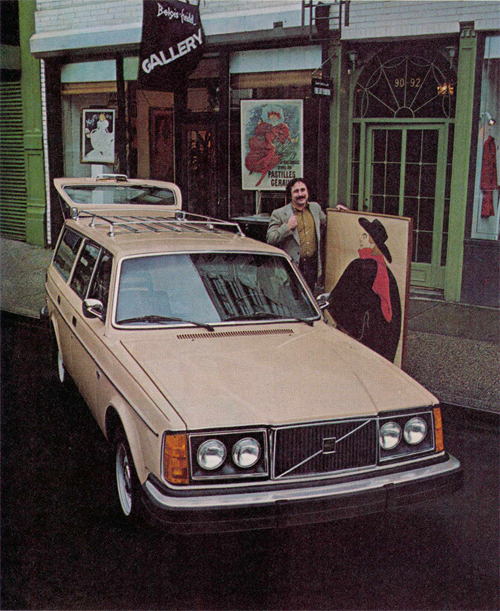 1979 – Volvo 245 GL with Joseph Eliasoph at Belgis-Freidel Gallery on 92 Thompson St in SoHo in New York, USA. Thompson Street is a street in the Lower Manhattan neighborhoods of Greenwich Village and SoHo in New York City, which runs north-south, from Washington Square Park at Washington Square South (West Fourth Street) to the Avenue of the Americas (Sixth Avenue) below Grand Street, where the street turns right to Sixth Avenue; it thus does not connect with Canal Street just a half block south of the turning point. 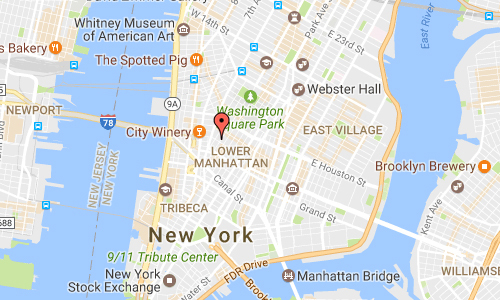 It runs parallel to and between Sullivan Street (to the west), and LaGuardia Place (formerly Laurens Street) which becomes West Broadway (to the east). 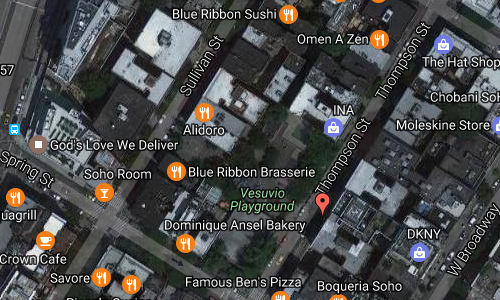 The street was named for Revolutionary War Brigadier General William Thompson, who served in New York and Canada. 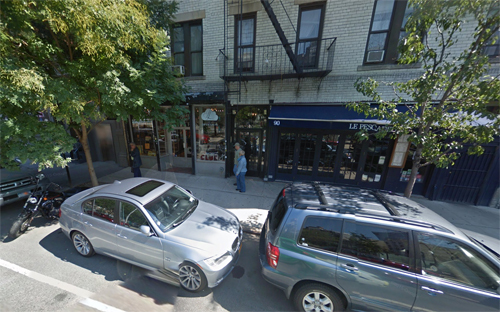 The Belgis-Freidel Fine Art Gallery was established in 1977 as one of the early galleries in SoHo. 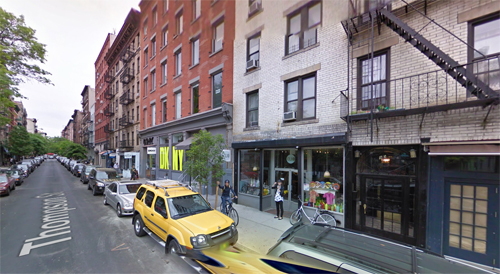 They started at 92 Thompson St in 1977 and have moved around to several locations in Manhattan. Recently, they moved to Long Island, New York and are available by appointment only. They specialize in works on paper. Their inventory includes David Hockney, Jim Dine, Henri Matisse, Pablo Picasso, George Rouault, Henri de Toulouse-Lautrec and a large collection of original Art Nouveau and Art Deco posters. 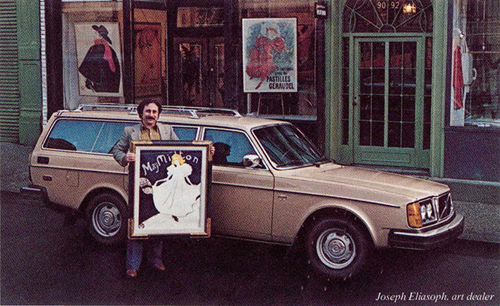 Joseph Eliasoph, the man standing with the Volvo 245 in the advertisement really worked at the Belgis-Freidel Gallery in 1980. But he has traded the art-poster business for the more lucrative real estate business, as he mentioned to me, after I found him. Today he is senior managing director at a large real estate company in Queens, Long Island City. 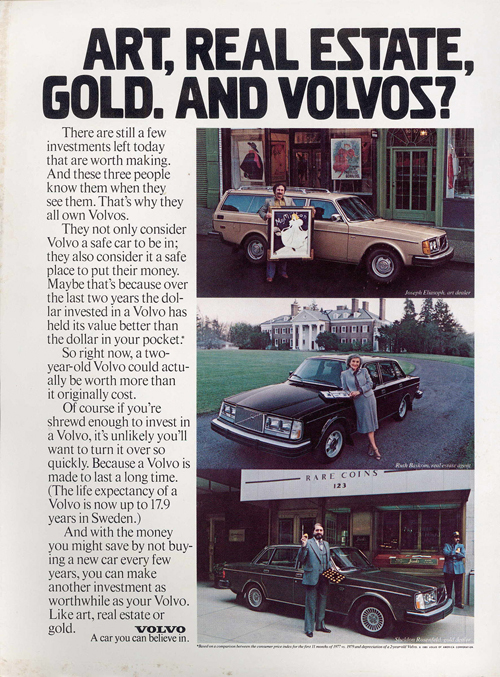 He liked the Volvo a lot, it has lasted 220 000 miles with him. 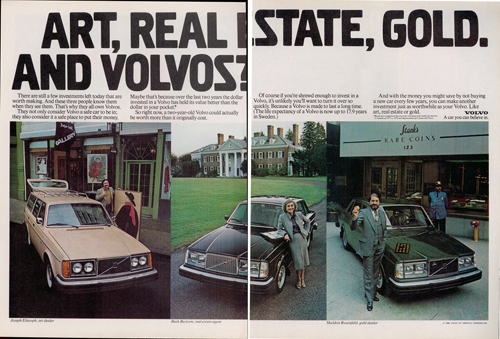 Today, he drives a BMW sedan, but there still is a 2014 Volvo Wagon in the family! SoHo, sometimes written Soho, is a neighborhood in Lower Manhattan, New York City, which in recent history came to the public’s attention for being the location of many artists’ lofts and art galleries, but is now better known for its variety of shops ranging from trendy upscale boutiques to national and international chain store outlets. The area’s history is an archetypal example of inner-city regeneration and gentrification, encompassing socio-economic, cultural, political and architectural developments. The name “SoHo” refers to the area being “South of Houston Street”, and was also a reference to Soho, an area in London’s West End. It was coined by Chester Rapkin, an urban planner and author of The South Houston Industrial Area study, also known as the “Rapkin Report”. This began a naming convention that became a model for the names of emerging and re-purposed neighborhoods in New York such as TriBeCa for “Triangle Below Canal Street”, DUMBO (“Down Under the Manhattan Bridge Overpass”), NoHo (“North of Houston Street”), Nolita (“North of Little Italy”) and NoMad (“North of Madison Square”), among others. Frank Zappa (December 21, 1940 – December 4, 1993) has lived at 180 Thompson Street, he was a famous composer, singer-songwriter, guitarist, recording engineer, music producer and film director. More information at en.wikipedia.org and belgisfreidel.com.